This is the continuation of a series of public events about Vienna begun in fall 2014, when the Smart City Wien concept was first introduced to the Hong Kong audience. The focus then was on social housing and aspects of social fairness in modernizing the city. The Urban Innovations series Vienna (I and II) builds on existing excellent economic and academic ties between Austria and Hong Kong. The two cities signed a Memorandum of Understanding (MoU) on cultural cooperation (2015) and established a bilateral Working Holiday Scheme for young people (2015). On 25 May 2016, the HK Secretary for Innovation and Technology Nicholas Yang and the Austrian Federal Ministry of Science, Research & Economy (State Secretary Dr Harald Mahrer) signed a further MoU to strengthen bilateral support for innovative technology start-ups and start-up ecosystems. New direct air services between the cities will commence in September 2016. Since 2014, there have been several high-ranking bilateral visits of Austrian and Hong Kong officials to further strengthen cooperative ties. Innovation Cities Index, Digital Governance in Municipalities Worldwide) and has received numerous awards for excellence in urban planning and various public services. 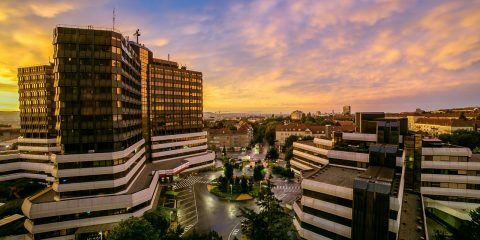 Most recently, it was a top contender for the 2016 ‘Innovation Capital of Europe Award’ of the European Union 2016. It based its application on its citizen-centered approach to the use of ICT and corresponding long-term developments in economy, education, research and technology. 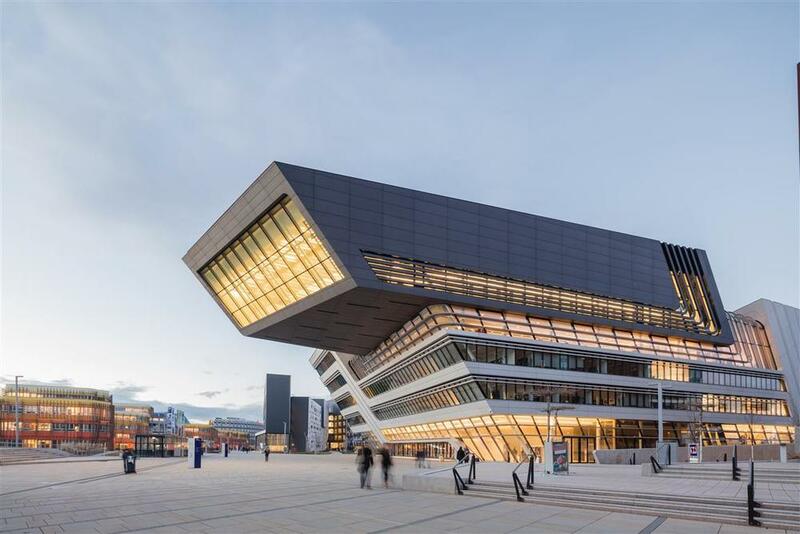 Underlying the global praise is a comprehensive strategy of innovative urban planning and project implementation, the Smart City Wien Framework Strategy (up to the year 2050). Under the main headings of ‘Resources – Quality of Life – Innovation’, it weaves together ‘smart’ technology’ (ICT), ‘green’ policies, social policies, public consultation processes and intensive R&D cooperation at universities and think tanks. It also capitalizes on the city’s historical and cultural assets while being open to innovative business and employment opportunities. The city is an active member of EU-wide networks of urban cooperation and exchange as well as a major collaborator under the HORIZON 2020 framework of the European Commission. Numerous urban research and development projects have been co-financed and otherwise supported by the European Union. The main elements of Vienna’s long-term strategy are similar to urban planning principles of the Hong Kong SAR. Among them is the development of high value-added industry and industrial research (‘Industry 4.0’, ‘smart production’, life sciences, health care and others), a focus on societal changes such as ageing populations, improved public services via ICT, and ‘digital inclusion’, intensified knowledge transfer between public administrations, academic institutions, enterprises and civil society, and the increasing role of the cultural sector for fostering creativity and innovation. Of particular interest is the synthesis of these strands in the futuristic ‘Seestadt Aspern’, a ‘new town’ currently under planning and construction. 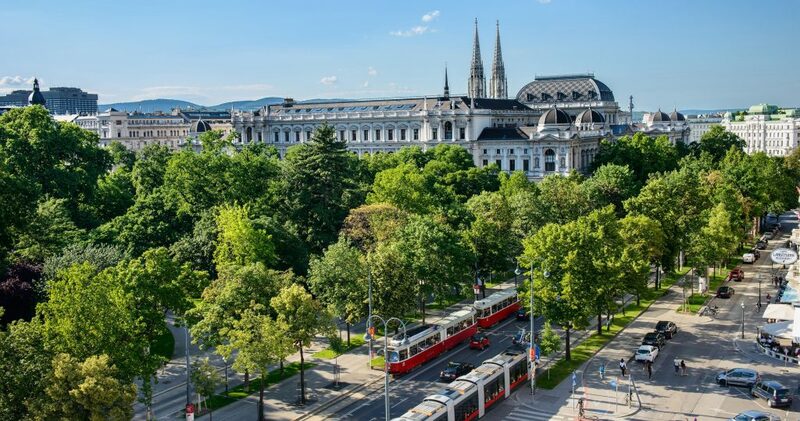 Vienna is also a forerunner city in the context of the ‘Europe 2020’ development strategy of the European Union, with a particular emphasis on integrated urban sustainability and climate change mitigation measures. Hong Kong, in turn, is already well advanced in practical applications of ‘smart city’ ideas. Unlike comparable global cities elsewhere, however, it has not relied on top-down master planning but has restricted itself to providing best-possible conditions for private and civic organizations. It structures its future development policies around six major domains: (1) smart economy, (2) smart mobility, (3) smart environment, (4) smart people, (5) smart living and (6) smart government. The widespread use of ICT is considered to be a major platform for the long-term development of the city, the further diversification of its economy and the improvement of the quality of urban living. On the basis of the city’s comparative advantages and the numerous experiences already gained, the Government recently built up a dedicated authority for coordinated smart city planning. Reference to (and exchange with) other global and smart cities is an integrated part of urban planning. Critical elements at the moment are seen in streamlining public administration towards feasible ‘smart city’ objectives, improved public communication of strategic development goals, improved public involvement, and improved cooperation between public administration, the private sector, universities and other civic bodies. There are, however, different conceptions of ‘smart’ development among local policy leaders. Based on this background, the primary interest of Urban Innovations for the 2016 event series lies broadly in the themes 1 (Smart City), 2 (Green City), 3 (Social Fairness) and 5 (Knowledge City / Innovation and Governance). Among them Dr Harald Mahrer, State Secretary at the Federal Ministry of Science, Research and Economy of Austria, and Mr Karlheinz Kopf, Speaker and Second President at the Austrian Parliament, Dr Christian Strasser, Director of the Museums Quartier Vienna, Mr Thomas Schmid, Head of the Cabinet of the Vice-Chancellor and Federal Minister of Finance; and other members of the Austrian Parliament. Professor Anthony Cheung Bing-leung, Secretary for Transport and Housing of the HKSAR Government, visited Vienna in October 2015 and spoke at the “Walk21 Vienna 2015-XVI International Conference on Walking and Liveable Communities” about Hong Kong’s experience in fostering mobility in a compact city. The HK Chief Secretary for Administration, Mrs Carrie Lam, visited Vienna in May 2014, while Ms Maria Vassilakou, Deputy Mayor and Vice Governor of Vienna, came to Hong Kong in October of the same year. Most recently, the HK Secretary for Innovation and Technology Nicholas Yang visited Vienna (24-25 May 2016). See Central Policy Unit of the Government of the Hong Kong Special Administrative Region (September 2015). Research report on Smart City: http://www.cpu.gov.hk/doc/en/research_reports/CPU%20research%20report%20-%20Smart%20City(en).pdf Comparisons are being made above all with Singapore, Seoul and Barcelona.